Home is where the heart (and the reasonably priced popsicle sculpture) is. 1. A pair of colorblock curtains to add dimension to a simple living space and make your home look like every flavor of fancy. Get them from Walmart for $16.99+ (available in five sizes and 11 colors). 2. A kitten coat hook that'll really ~pop~ in your entryway. Get it from FireBox for $18.29 (available in two colors). 3. A trifold mirror for a simple way to enhance your aesthetic without even having to ~tri~ that hard. 4. A seriously gorgeous coffee table book you can always keep out, because no one will want to put it down. 5. A rice paper floor lamp for any apartment in need of a bold bright light on a budget. 6. A faux potted plant to show off your green thumb and great taste. Get it from Target for $16.99 or a set of four minis from Amazon for $19.99. 7. A clever shelving unit that'll make decorating your home a breeze, because once you grab this, your expertly organized home will be just around the corner. 8. A fresh woven basket that's gonna be the perfect place to franticly stash any mess before guests come, and look lovely while it unassumingly hides the pizza box you've had out since last Tuesday. Get it from West Elm for $23. 10. An adhesive wall clock that's gonna be the piece your friends compliment time and time again. Get it from Overstock for $18.09. 11. An incense holder at such a steal, it'll literally make your home smell like (financial) success. 12. A bold rug with a pattern so strong, you can easily update even your most bare basics. Get it from Walmart for $20.03+ (available in two sizes and three colors). 13. 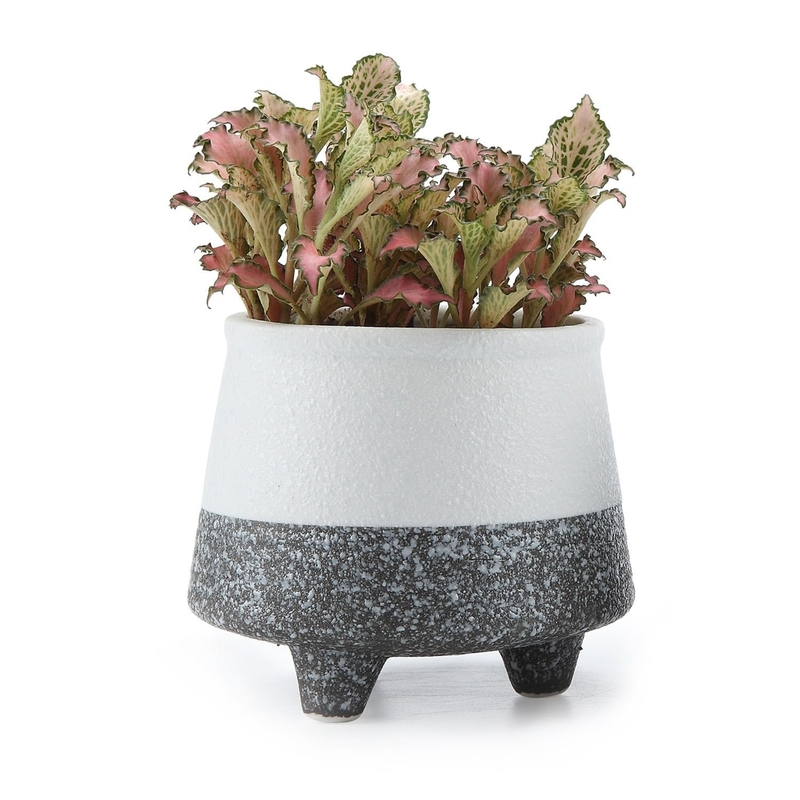 A white or speckled footed planter you're sure to be head over heels about. Get the one on the left from Amazon for $7.93 and the one on the right from Urban Outfitters for $12. 14. A beaded art deco pillow that'll look like it came out of Gatsby's mansion. Get it from Pottery Barn Teen for $19.99. 15. A cube organizer — it may be the best basic to organize your growing personal library (of books you keep forgetting to return to the actual library). Get it from Walmart for $25 (available in three colors) or a similar set from Amazon for $16.99. 16. 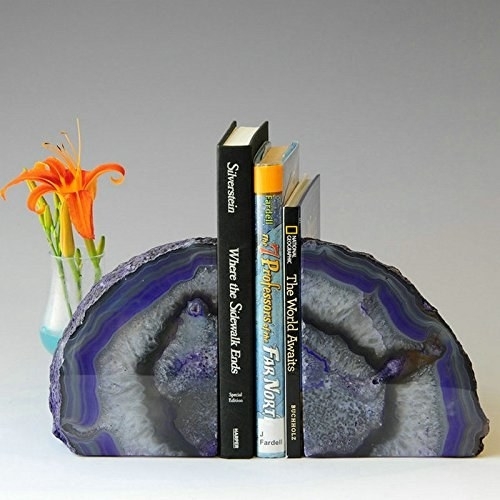 And a pair of stunning bookends that'll really ~hold up~ while you put everything in its place. Get them from Amazon for $29.99+ (available in six colors). 17. A kitten who'll gladly house your daisies, tulips, and ~pawppies~ this spring. 18. A city trinket dish so you can keep your favorite things close without having to travel far to find them. Get it from Anthropologie for $16 (available in three styles). 19. A collapsable side table perfect for anyone living in small spaces — it opens up easily and folds flat to store under the sofa when you need more floor space. Get it from Walmart for $21 (available in two colors). 20. A glass picture frame that'll ~clearly~ hold your memories forever. Get it from Anthropologie for $18+ (available in three sizes). 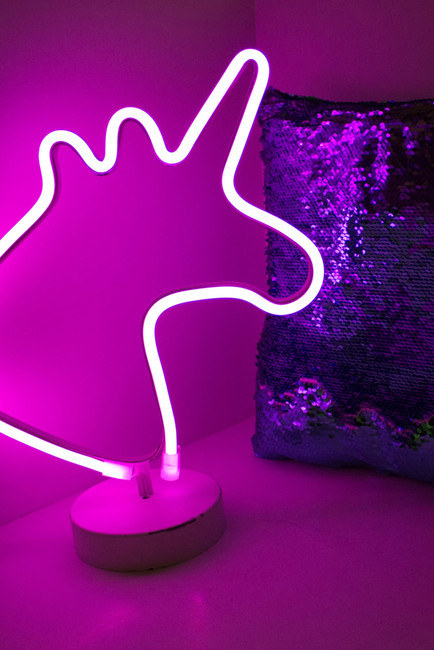 Get the neon light from Nordstrom rack for $16.97 and the LED light from Amazon for $21.99. 22. A rug so colorful it'll hide every single spot and stain (BRB, buying one for every room in my house). Get it from Walmart for $21.97 (available in three sizes). 23. 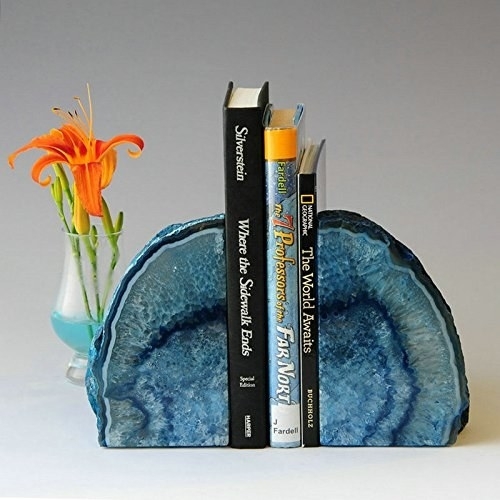 An abstract trinket stand you just might love even more than the jewelry you set on it. Get it from Anthropologie for $28. 24. 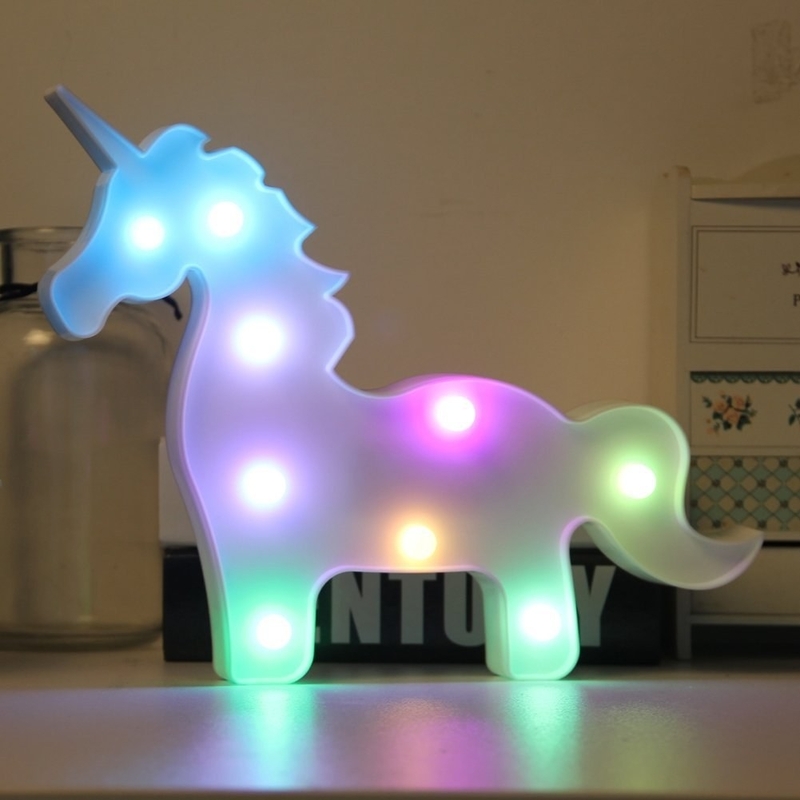 A rainbow light sure to ~project~ the best vibes on your block. Get it from Modcloth for $17 or get a similar one on Amazon for $15.89. 25. A pair of tea candle holders for covering your room in romantic star-like light every day and night. Promising review: "The moon and stars print is so cute and looks great in our living room. I love the cracked paint/worn look on them. They are small and compact. I have used them already and my house smells amazing! I like that the bottom part where you put the tea light candle is kind of shielded so that the flame is more protected. I have found with the open ones if you have a fan on in the room, they do not melt the wax down as effectively. I would definitely recommend these!" —Rachel M.
26. A TV sponge holder so charming your guests will ~tune in~ to it immediately. Get it from Amazon or ModCloth for $7. 27. A set of leather straps to have and to hold for as long as they hold onto your stuff. Get them from Pottery Barn Teen for $19.50+ (available in three styles). 28. A lamp with just enough storage space to put your old college pottery in the limelight like it deserves. Get it from Walmart for $24.94. 29. A darling photo rack that'll let you add memories as fast as you make them. Get it from Amazon for $20 or ModCloth for $25. 30. A pillow you're gonna ~plant~ on your couch and never take off. 31. A distressed wood wine holder that'll be the perfect ~balance~ with your current decor. Get it from Novica for $32.99. 32. 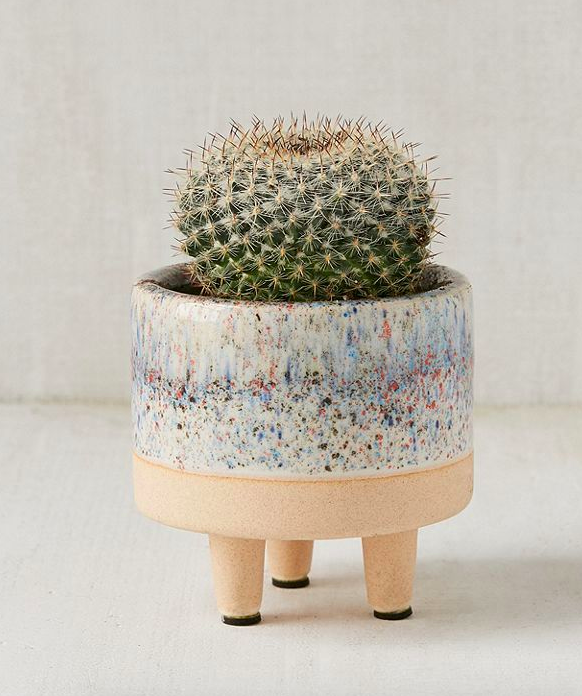 A planter with a face so perky it can make your place a doggone delight! 33. And a metal frame mirror perfect for ~reflecting~ on how great your home looks. Get it from H&M for $24.99. When your friends find out you decorated your whole place and still have money to spare.